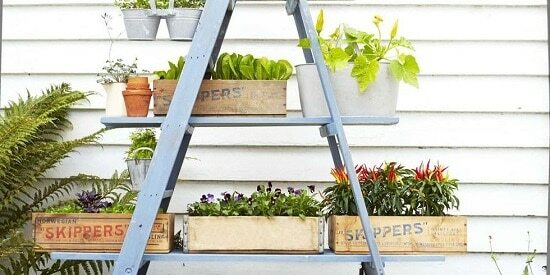 Multiply your container gardening space by growing plants vertically on a ladder. 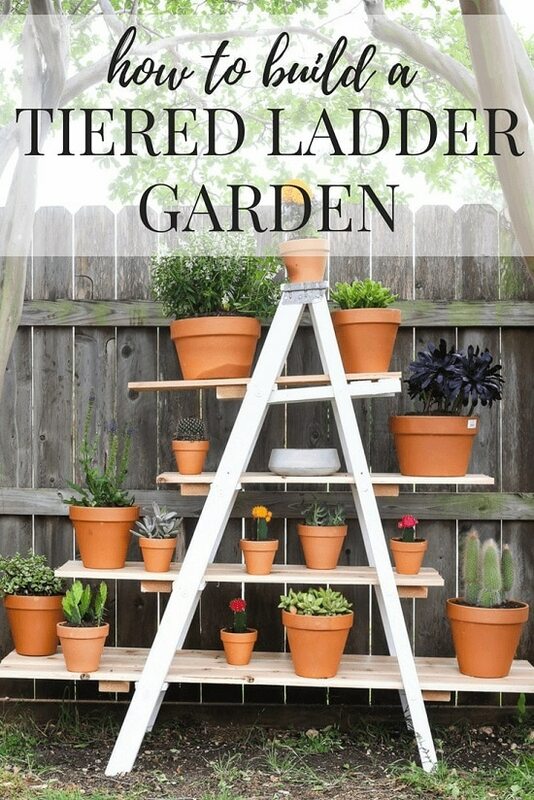 Try one of these DIY Ladder Planter or Ladder Plant Stand Ideas available with plans and tutorials! 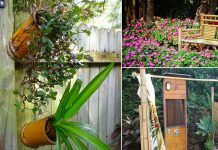 17 ingenious ladder planter and plant stand ideas with Plans and Tutorials to create a lot of vertical growing space for container gardeners. 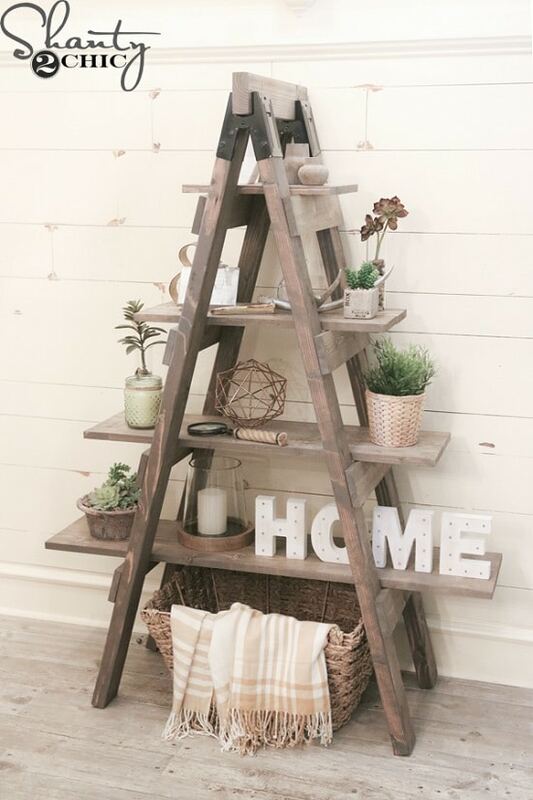 Create this tiered ladder plant stand using a worn-out ladder and a few wooden planks. Get more information about it at Love & Renovations. 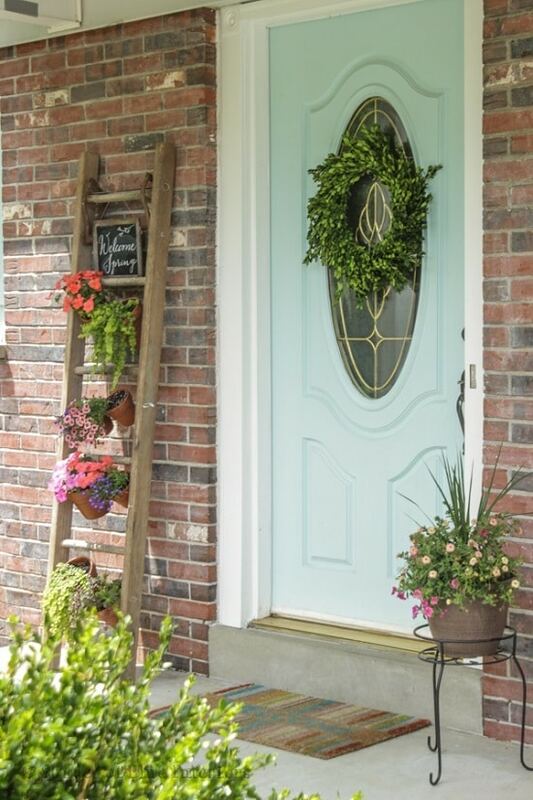 Customize your front door area in an inexpensive way. 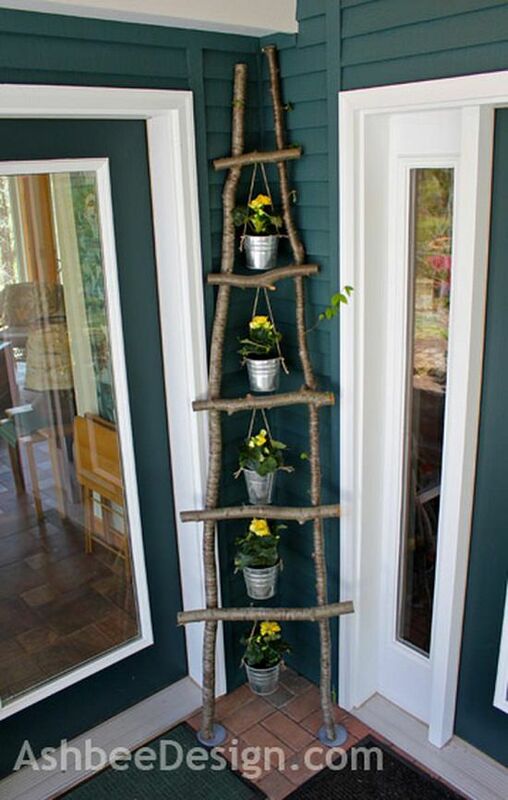 DIY this simple but functional ladder vertical garden using the step-by-step tutorial available here. What an ingenious idea to make use of frayed step ladder. 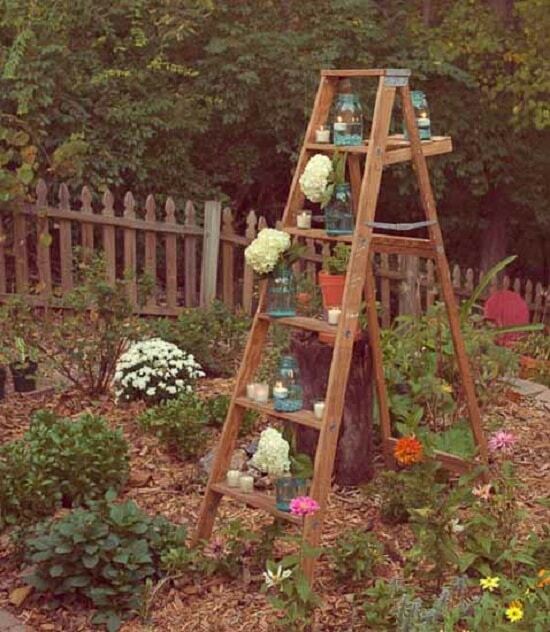 To learn everything about this step ladder garden, click here! 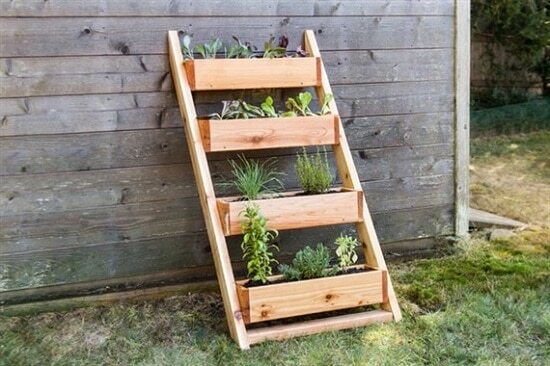 Build this cedar ladder planter to add more gardening space to your urban garden! Learn everything in detail about this project at Black and Decker. Provide support to the climbers by using a metallic or wooden ladder. Get more information on how to use a ladder as garden trellis at TreeHugger. 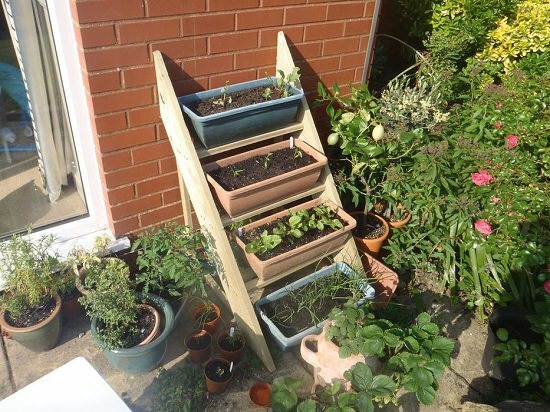 Transform a ladder into this beautiful and bountiful herb garden for your urban home, following the instructions available at the Moderate Home. 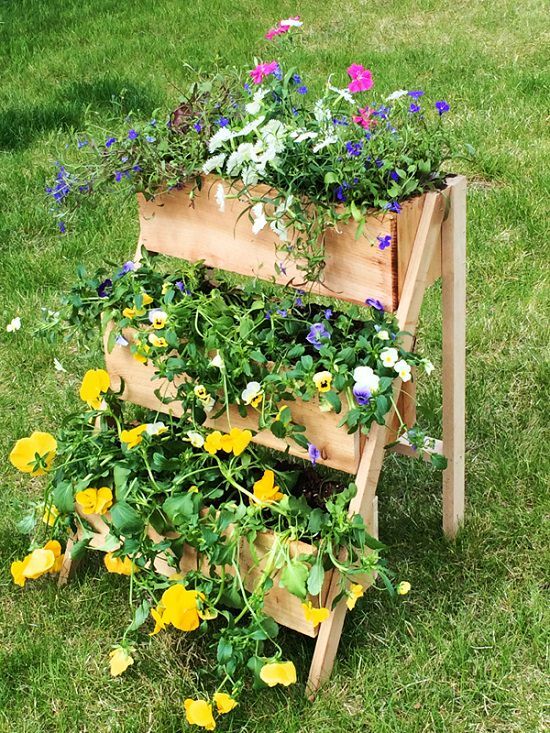 Create a lot of vertical space by copying this basic DIY ladder planter idea. Take help of the tutorial available at the Good House Keeping. 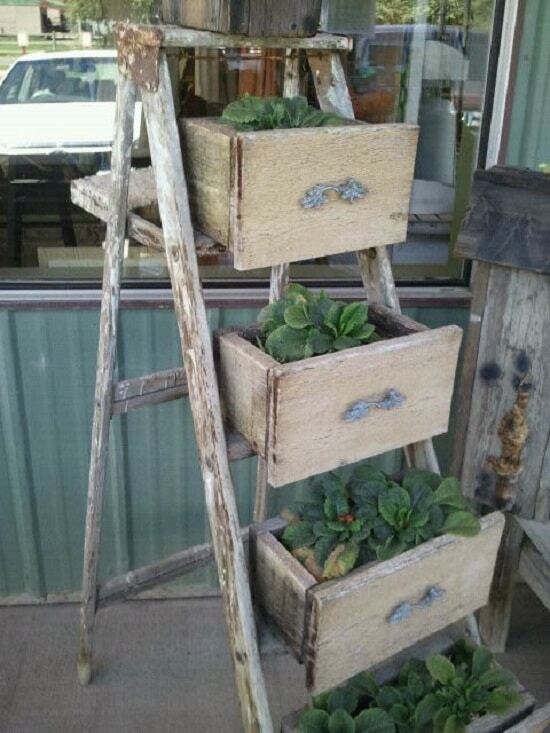 Re-purpose matured drawers and an old ladder to replicate this vintage cottage style ladder planter. 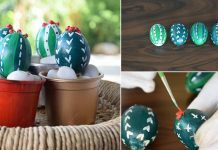 Find the necessary DIY steps here! Build this sawhorse bookcase plant stand using not more than 3 tools. Keep it in any room, balcony or patio or use it in your garden. Watch the video tutorial here. 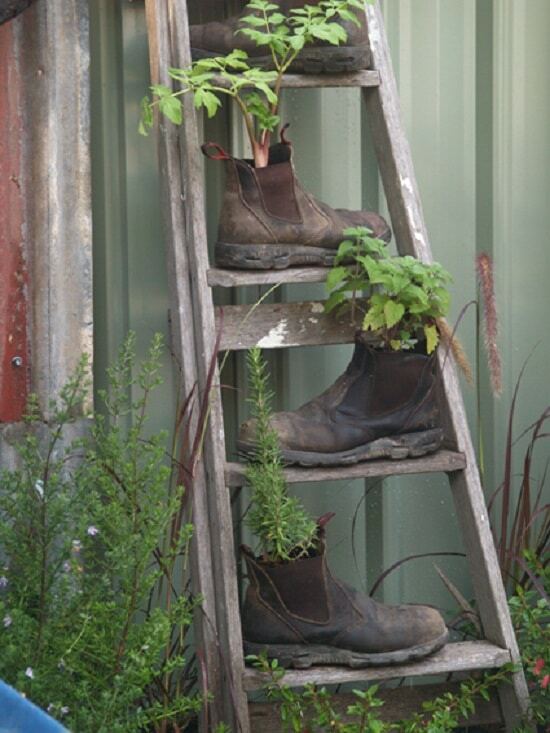 Use a ladder to showcase plants in your garden, place planters on it or any other decorative garden items. 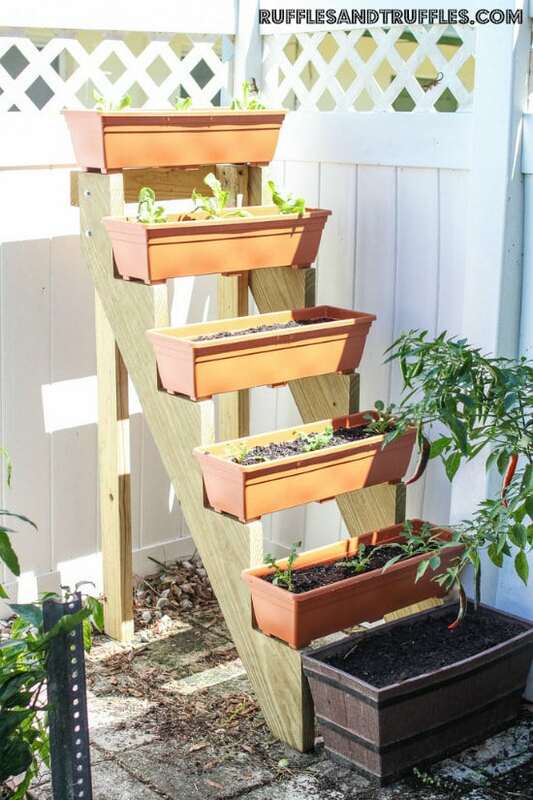 Construct this ladder plant stand for your small garden to grow vegetables by following the tutorial available at the Instructables! 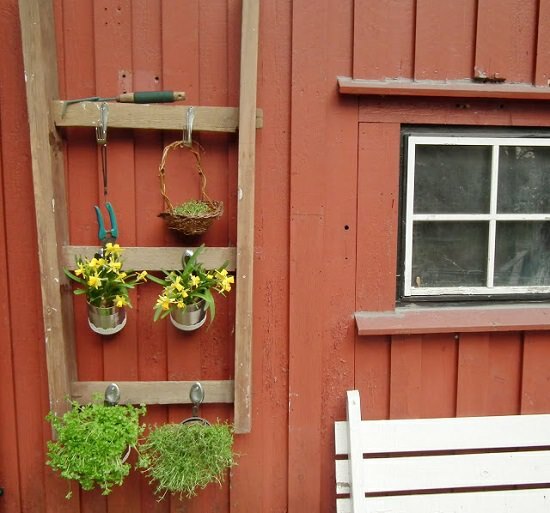 Recycle old ladder, tins cans in a beautiful way to hang planters using spoons and forks. Find the DIY guide here! 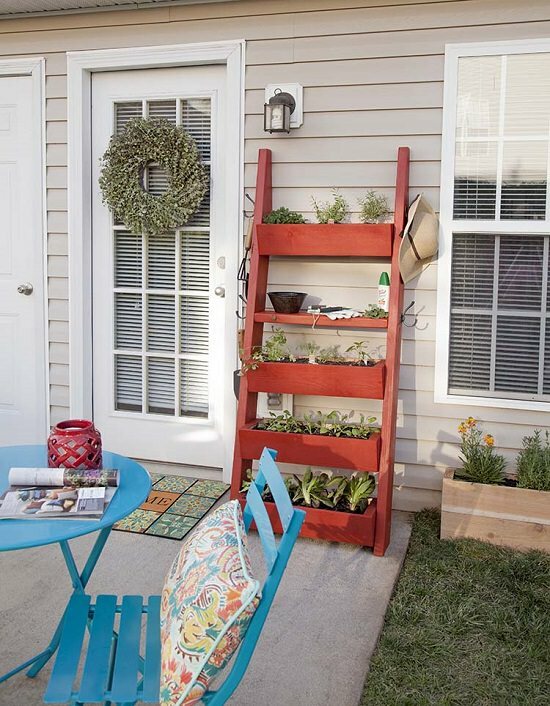 For an easy patio makeover, build this ladder planter. It has in-built planter boxes. Check out the step by step tutorial at the Home Depot. This is interesting and unique, a ladder made from branches and used to hang buckets. Reapply this concept indoors or outdoors by following the tutorial available at the Ashbee Designs! 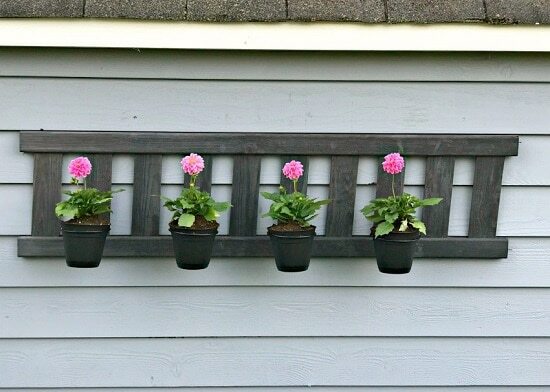 Hang an unused ladder horizontally and fix pots on it as the way it described in this DIY tutorial. 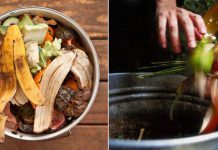 It’s cheap, and it’s functional, a perfect DIY vertical gardening project to follow. Find the tutorial at AnaWhite.com. 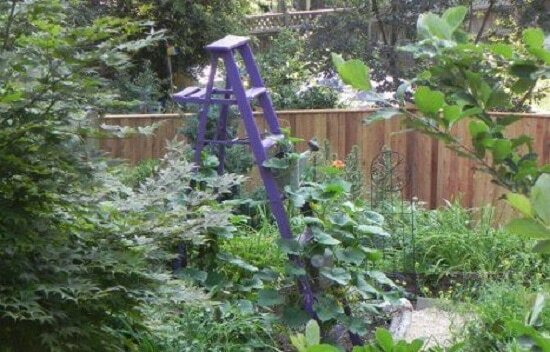 Grow vegetables vertically in your urban dwelling by creating this ladder vegetable garden. We found this smart idea here. 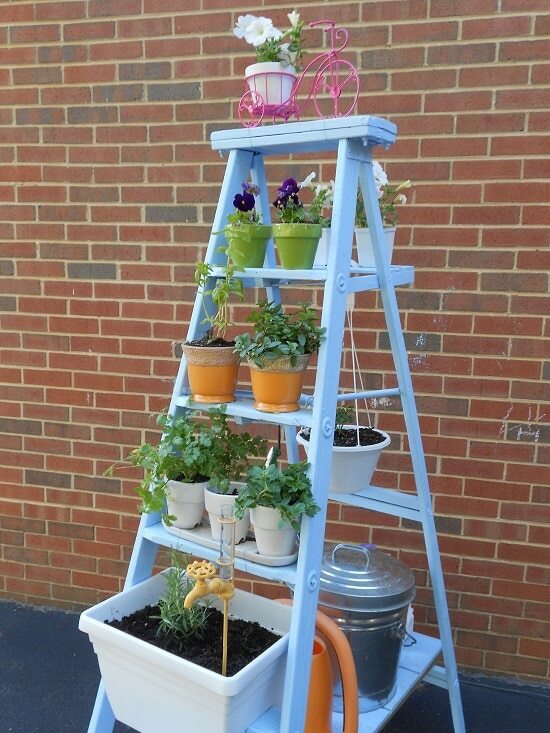 Thank you so much for featuring my ladder herb garden!